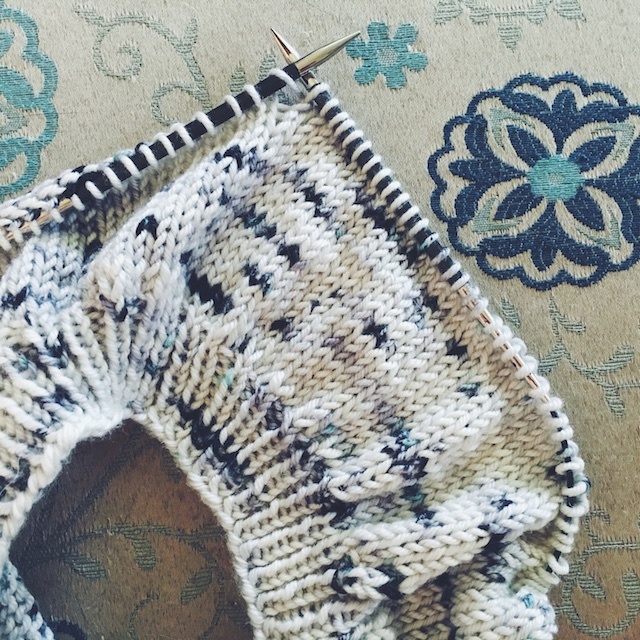 Another test knit I'm working on for Tara-Lynn is this stockinette beret. I was excited when she mentioned she'd be releasing it soon on instagram. I used to love wearing a beret, but I haven't owned one since high school. In fact, I didn't even own one then. I think the one I had belonged to a boy I dated. I stuck several pins in it (the flair kind, not the voodoo kind) and wore it awhile before giving it back or chunking it when we broke up. Anyway, I loved the idea of making my own. So, I was pretty happy to be asked to test knit this one. 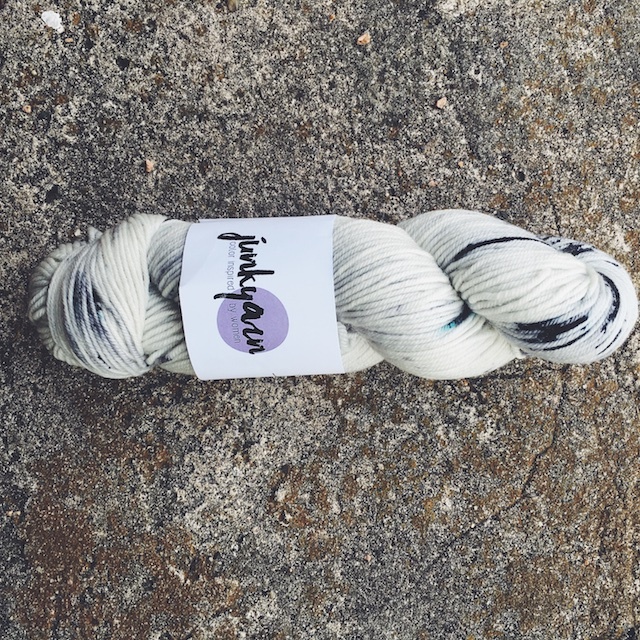 I had this great skein of Dk from Junkyarn, in the Diana colorway, that I was actually saving for this design. How unique will this be? It totally beats the army surplus beret of my youth. What you see here knit up pretty quickly, but I did have to rip back because I didn't make it long (or tall) enough. No worries, I plan to sit down and finish it tonight.